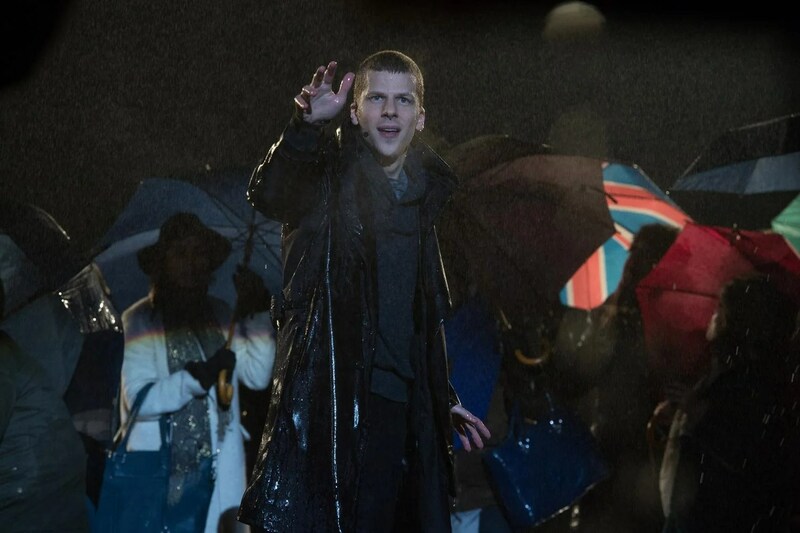 Now You See Me was the sleeper hit of 2013, a light-weight crime caper that used magic as its central theme and while sometimes contrived and complicated, it was somewhat satisfying and fun at the same time. You’d expect the same from the sequel and on the whole, it’s exactly what you get. Why change a formula when it works, right? In this case, it doesn’t quite make it because, for all its bells and whistles, it’s far too smug and enormously baffling. The Horseman have been underground since the incidents of the year before. Tempted out of hiding, they plan to stop a communications expert from releasing technology that can virtually steal from everyone who uses it. They soon find themselves caught in a trap and forced to commit another crime in which they have to steal a computer drive from an impossible vault. They also discover that the man behind this idea is the son of an old adversary. 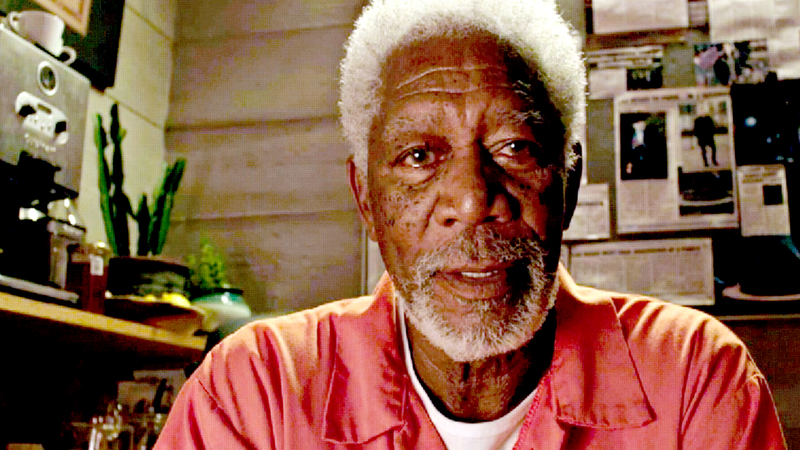 Now You See Me 2 follows the same path as the first film. We get a quick re-introduction to the main characters and their skill sets, a very brief reasoning why Isla Fisher is absent (although in real life she was heavily pregnant) and introduced to new character, Lula, and her strangely twisted world of magic, Then it’s business as usual: a set-up for an elaborate return of the Horsemen, which is rudely interrupted by the mysterious criminal genius, then into the heart of the plot. The trouble is, things never seem completed and the plot becomes more and more complex with every second it’s on screen, with characters bluffing and double-bluffing every chance they get but never really completing the bluffs. Half-way through comes, the main set-piece, in which the Horsemen must steal the computer drive that is the size of a playing card and the team must work together passing the card from one to another without the guards catching them. This is the film’s highlight. It moves at a tremendous pace, it’s sometimes very clever and there is an air of tension running throughout. However, once this scene has passed, everything else comes quite bland and ordinary, leading to a finale so unbelievable, it’s, well, unbelievable! The problem is the magic scenes are never as interesting because, as we know, they can be manipulated by light, editing and effects. So the story has to be gripping. This isn’t. It just becomes a mess of baffling incidents that never gel and never excites or interests. Add to the problem the dialogue, which is sometimes cringe-worthy and an air of smugness about being so clever that interferes with the enjoyment of the piece. It also is relentless in its explanation of everything. Something happens, it’s explained. Another thing occurs, it’s detailed. We’re watching, we don’t need to be forced-fed information all the time! The performances from the strong cast are fine. 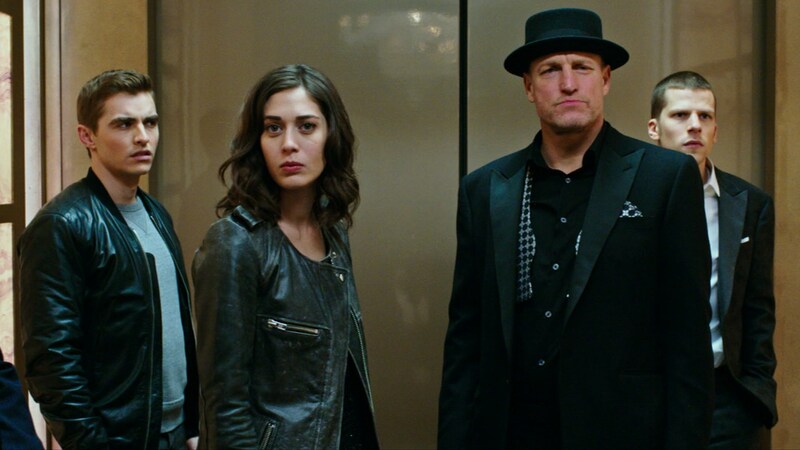 Woody Harrelson plays dual roles, returning as hypnotist Merritt but also his twin brother, who is, quite frankly, annoying. Daniel Radcliffe has some fun moments at the beginning but he is lumbered with some the worst dialogue and Lizzy Caplin, as Isla Fisher’s replacement, may not have the looks but manages to carry herself effectively as weird Lula. I was looking forward to the return of the Horsemen, as Now You See Me was tremendous fun. Unfortunately, I was let down by a film that was too in love with itself, and clever for its own good. Apart from that central set piece, the rest of the film was just to complicated for its own good and an ending that was more laughable than brilliant. A pity.